You can install Kodi on several platforms in order to watch all your favorite shows, movies, and music videos. But one of the smoothest ways to do so is to run it via an Android TV stick. These mini-sized HDMI devices enable you to stream all the media you want by simply plugging them into your TV. Running Kodi on an Android stick has several benefits. First of all, you do not require a large, ugly looking box that would sit beside your television.When you use a streaming stick, it is not visible and does not use up any space on your TV stand. It simply hides behind the TV. Another reason why running Kodi using an Android stick is a smart move is that these sticks are compact, hence, portable. If you are staying at a hotel or shifting to another place permanently, you can tuck the dongle in your pocket and use it on another TV. All you need is a wi-fi connection to connect to. There are many different media streaming sticks available. Many manufacturers, big and small, have realized that users are looking for easy streaming solutions, that don’t break the bank. However, many things should be taken into consideration before buying one. This is the 21st century. Living without the internet is utterly impossible. New devices are replacing older ones constantly. This is the age of Netflix and chill, and absolutely everyone loves to watch TV shows. No one wants to miss out on the latest movies. Also, people want to watch their shows when it fits their schedule. Luckily, the times of fixed TV schedules are long over. Android streaming sticks allow you to stream entertainment on your PC, TV, or any other device equipped with an HDMI port. 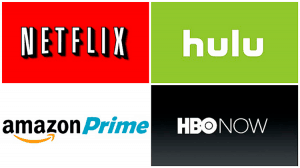 You can watch the latest episodes of your favorite TV shows anytime you want, albeit not live. You can subscribe to the channels you enjoy the most. These media streaming devices are gradually taking over cable and satellite TV. When we go out to search for the best streaming stick, there are many choices available. As good as it is to have a huge number of options to choose from, it can sometimes become rather tedious. The selection is hard when the features they offer seem indistinguishable, and every choice sounds like a great one. To make this easy for you, here is a list of things you should look out for before buying an Android streaming stick. This will narrow down your choices and make it easy to decide which one will suit your needs best. The first thing that you need to take into account is that the streaming stick should support the channels and content you like. You do not want one that does not support the apps and streaming services you prefer. This is without a doubt one of the most important factors to avoid wasting your money. For example, the Amazon Fire TV stick works best with Amazon Prime, Chromecast with Google products. You should not buy a Roku stick and hope that it supports iTunes. A streaming stick that provides limited channels is something you should avoid. The more the channels, the more the choice and entertainment. Go for one that has the content that you would want to watch. Ultimately, when buying an Android TV stick, you are not buying the streaming stick. You are making a choice of what services you will use. Clearly, the Amazon fire TV stick with its integrated Amazon Prime takes the lead when it comes to content. However, do make sure that your TV shows are available before making a purchase. Tip: JustWatch is a search engine for streaming services that lets you search by TV shows and movies. The second most significant thing to look out for in a streaming device is that it searches the content that you want to find rather than the content from which the manufacturer earns. For instance, Apple puts their content first; Amazon promotes its content, and Android promotes Google services. The aim of such search features is to help the company maximize its earnings by promoting its own content. This isn’t necessarily a bad thing. If the content that gets promoted is what you are after and fairly priced, that’s great! At the same time, freedom of choice to watch any content without hurdles does have its advantages. A device that puts forward the content that you like is one that you should go for. One such device is the Roku streaming stick. It puts first the content that is most preferred by you. It arranges the content in a manner that the one that is cheapest stands on top of the list. Last but not the least, a media streaming stick should give you the power to customize the interface. In this way, you can put at the front the services that you regularly use. So if you are a Netflix or Hulu fan, you can easily access them. Another aspect of customization is how flexible the device is. Does the streaming stick allow installation of third-party apps? Can you install Kodi or another streaming app on the stick? Here, the clear winner is the Android Mini PC RK3288. It does not put its own software ecosystem at the center of the device and provides the greatest flexibility. When you buy the RK3288, you own the hardware and can install whatever you like on it. There are tons of other factors that count when looking for an Android stick; such as whether or not it comes with a remote and the installed microphone function. The interface also matters. The device should be easy to set up and navigate. Of course, the amount you are willing to pay is also one of the main factors to consider. Speed is another concern. There is nothing as annoying as buffering videos and slow response. You want one that has at least a dual-core processor and ample storage space as well. It should be able to provide a clear and smooth video. So, you see there is a lot to consider, but if you follow the above points you should be in a good position to make an informed buying decision. To help you narrow down your choices, we’ve selected the best Android TV sticks currently available. Any of these devices will give you smooth video streams and a snappy and easy-to-use interface. 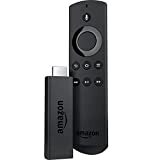 The Roku Streaming Stick is a compact stick that comes with a remote and streams all the latest TV shows, movies, music and other entertainment via the internet onto your television or another device. The most recent version of this stick is a significant improvement over the past versions with better speed and more features. With an updated version of Roku OS, this device feels a lot faster and responsive. The quad-core processor offers clear and crisp 1080p streaming. The design of this model is sleek and black. The remote that comes with the Roku Streaming Stick is easy to operate but lacks advanced features that the Amazon Fire TV Stick offers. The self-explanatory interface and performance are both top-notch. There are minor flaws but compared to the strengths of the Roku those are negligible. One thing though that disappoints is the price. Compared to similar devices it is rather expensive. Nonetheless, the Roku is a great streaming stick with plenty of speed, a great interface and plenty of content. The Amazon Fire TV Stick is the same USB-sized device as any other streaming stick. This device is compact, yet it is very powerful. It allows you smart access to all sorts of entertainment; from movies to games, songs, and other apps. The Amazon Fire TV Stick works best with other Amazon products. This Amazon streaming stick comes with a great remote and streams loads of channels. It supports pretty much all content providers, from Spotify, YouTube, Netflix and obviously Amazon Prime (click here for free 30-day trial), without which it is incomplete. From the interface to the performance, everything is first-rate. The best part is that it is reasonably priced. It has a quad-core processor and 8GB storage space with 1GB internal memory. It is a fast device! Moreover, the Alexa voice remote enables you to send voice commands. You can stream channels on any television with Amazon Fire TV Stick by attaching it to the HDMI port. This device is getting more and more popular due to its many incredible features. It is perfect for use with televisions and projectors. Also, it comes at a budget-friendly price. Powered by the quad-core processor, it has Android KitKat 4.4 operating system. It runs on 2GB RAM and 16GB ROM and supports SD and USB. The Android Mini RKM has 5G Wi-Fi, Bluetooth and comes with a Gigabit Ethernet port. All these features make this one of the best Android TV Sticks on the market today. It is fast, reliable and worth a purchase. One thing to keep in mind, though, is that this device does not come with a remote control in the box. So you do have to factor in the additional cost of buying a separate remote. You can read our article on the best remote controls. Alternatively, consider buying a wireless keyboard if you plan to browse the web with your Android stick. Which Android stick you should go for ultimately depends on your preferences. All the devices are excellent in their own way. Pick the one that suits your needs and offers content that you want to watch. The Roku Streaming Stick is a high-end Android stick with plenty of processing power and loads of content. It does not promote any one service and considers your preference before making any recommendations. It is not constantly trying to earn more by promoting the service that can fetch it money. It is, if not the first, then among the first ones where streaming services become available immediately. From Netflix to HBO Go, it has everything apart from iTunes; and that is because Apple keeps that app all for itself. Its interface is responsive, and its search feature is helpful. If you are someone who has an overall Amazon setup, then Amazon Fire TV Stick would do perfectly for you. It is arguably the most polished device with great streaming service integration. The Alexa voice-controlled remote is a killer feature that revolutionizes how you interact with your media. Lastly, the Android Mini RKM leads the pack in terms of hardware features and system flexibility. This little device does not lock you into select streaming apps. Whatever is available on the Google Play Store can be installed without issues. The quad-core processor and 2GB of RAM ensure that any app runs smoothly. 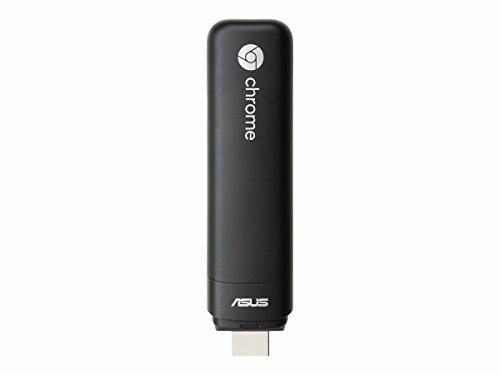 It is the priciest of all three Android TV Sticks, especially considering that it doesn’t come with a remote.